The IPC conference was co-hosted 18-21st June with the probiotics in foods and feeds regulatory workshop, SOMED (Society for Microbial Ecology and Diseases), BAMP (Bacteriocins and Antimicrobial Peptides symposium) and the Animal Health Symposium. This column reports only on the IPC. After Alojz Bomba’s spectacular entrance throwing tennis balls across the magnificent ballroom of Corinthia Hotel, Patrice Cani from the Louvain Drug Research Institute opened the conference with a great overview on metabolism and nutrition, and the role of the microbiota, with a special place for novel next-generation star Akkermansia muciniphila. The bacterium was isolated by Willen de Vos and Muriel Derrien in 2004 and metagenomic studies showed that prebiotic supplementation was associated with a 100-fold increase in A. muciniphila. The identification of other associations followed: inverse correlations between the bacterium and obesity, diabetes and alcohol consumption in mice, and an increase in its abundance following gastric bypass (which is actually counter-intuitive since bypass tends to increase the levels of oxygen in the gut). After positive metabolic outcomes showed by administration to mice, the team tested also the pasteurized strain (which has important implications for the industrial and technical feasibility of a food supplement to be delivered to the consumer without oxygen contact) and found unexpected positive outcomes: different batches of the probiotic and mice reacted similarly and confirmed the efficacy of pasteurized A. muciniphila. Then Willem de Vos et al. discovered a specific protein expressed specifically on this bacterium’s membrane, called AMUC 1100, which seems to be responsible for the positive effects of the species. After personally experiencing muciniphila’s innocuity, Cani and his team have started a safety study on 50 human volunteers, confirming the absence of adverse effects, and already showing positive findings: decrease of total cholesterol and decrease of insulin resistance for both live and dead muciniphila, while only the dead cells added a positive effect with significant decrease in liver enzymes and plasma LPS. Now the team is working on an efficacy study with more participants. More focused in cholesterol management, Vasili Kachrimanidou from the Univ of Reading, UK, worked on the enzymatic production of GOS, using L. plantarumLPLDL, selected for its ability to produce bile salt hydrolase (BSH) and retain cholesterol in its membranes. The researcher designed a targeted GOS using LPLDL enzymes to enhance the growth, and the effect of the combination was prebiotic on Bifidobacteria, and removed more cholesterol than the bacteria alone and other combinations. Kangmo Ahn, pediatrician in Seoul, deciphered the evidence around probiotics in the prevention and treatment of atopic dermatitis (AD). Meta-analyses on probiotics in the prevention of AD in chilrden at risk (having at least one first degree relative having either AD, allergic rhinitis or asthma) show probiotics to halve its prevalence (46% in the placebo group and 23% in the probiotic group). The study design was repeated in Korea with the same results (40% in the placebo group, 18% in the probiotic group). Not only the atopic dermatitis risk factor is substantially decreased, but preventing atopic dermatitis helps kids not to enter the atopic march, leading to increased allergies. Kangmo concluded that probiotics are recommended in the prevention, in accordance with the WAO guidelines, but was less sure of the evidence to recommend them in the treatment of AD – though INRA researcher Gwaenael Jan rightly questioned the relevance of meta-analyses including different species, strains and dosages. Indeed variability is high and more meta-analyses would be needed on more comparable formulations. Audrey Gueniche from L’Oréal made a great presentation on probiotics for photo immunoprotection. She showed that oral administration for 2 months with L. johnsoniiLA1 at 10 billion ufc/day induced a faster recovery of epidermal allostimulatory function, with the protective function of Langerhans cells restablished after 4 days post UV challenge, vs. 10 days in the placebo group. There was also a faster normalization of IL-10, TNFα and IL-8 production. The per os administration of this strain is therefore an innovative and effective approach to reinforce cutaneous barrier. Mrinal Kanti Bhattacharya from India screened lactobacilli from 83 women for inhibition against E. coli and S. aureus and for the absence of antibiotic resistance, concluding that L. reuteri K100 may be suitable for vaginal application. Pr. of Internal Medicine Jürgen Schrezenmeir gave clinical reminders (as in Probiota Miami) on the symptoms of the major vaginal infections and showed evidence from several clinical trials that probiotics, even when delivered orally, presented better cure rates than the current basic treatments: antibiotics against Bacterial Vaginosis (BV) cured about 65% of the women after 3 months, and Gregor Reid strains cured 88% after 1 month – vs. 40% in the placebo group. Studies on oral administration of a blend of L. crispatus, L. gasseri, L. jensenii and L. rhamnosus isolated from healthy pregnant women showed the probiotics had a positive influence on the vaginal microbiota in patients with breast cancer, cured BV better than the placebo and halved the incidence of complications in pregnant women with herpes virus infection. Liisa Maria Lehtoranta, R&D manager at DuPont Nutrition and Health in Finland, did a review of meta-analyses in probiotics for vaginal and urinary health. Antibiotics tend to have side effects and increase dysbiosis and resistance in the pathogens, leading to about 30% of recurrences in BV and urinary tract infections. A meta-analysis of 12 trials on 1300 women published in 2014 confirmed probiotics significantly improved the cure rate of BV (both orally and locally) but the variability was quite high, with different probiotics being used. In yeast infection (Vulvo Vaginal Candida), 10 clinical studies on 1656 participants testing vaginal and oral probiotics concluded that probiotics increase the rate of short term clinical and mycological cure and decrease the relapse rate after one month. In urinary tract infections (UTI), evidence is still scarce to make conclusions on efficacy. Liisa mentioned also a more recent field of potential for probiotics: group B streptococcus (GBS) infections and she concludes there is more evidence in BV, less in UTI, VVC and GBS though the existing results encourage further investigation. The question of pertinence of meta-analyses on different strains, dosages and mode of administration is raised. Toshifumi Okhusa from Japan presented the links between ulcerative colitis (UC) and dysbiosis. He identified a loss of alpha-diversity, Lactobacilli, Firmicutes, Bacteroides, Bifodobacteria, Actinobacteria, F. prausnitzii, Clostridia and Ruminococcaceae, while Gammaproteobacteria, Fusobacteria and invasive E. coliincreased, together with intestinal permeability and inflammation. In particular, Fusobacterium varium was significantly more present in people with UC than in controls (40% vs 15%, p<0,01). F. varium was able to adhere and invade colonic epithelial cells and induced pro-inflammatory IL-8 and TNFα. To test its role in pathogenesis, his team proposed multiple antibiotic treatment and showed remission rates significantly higher in the antibiotic group than placebo. Similarly a meta-analysis on probiotics tested for their inhibition of pathogens, anti-inflammatory properties and improvement of barrier function showed that probiotics were more effective than placebo in maintaing remission. The lab tested B. longum BB536 successfully on UC at a high dosage. The pathogenesis of UC was unknown but now seems related to dysbiosis, with potential benefits for antibiotics and probiotics. Mario Guslandi from S. Raffaele Univ Hospital of Milan reviewed the evidence on probiotics in the management of diverticular disease – a disease with the same symtoms as IBS but diagnosable through colonoscopy or X-ray. Many studies were mentioned on long term treatments (6 months, 12 months, even 24 months) usually based on a combination of several probiotics and the antibiotics mesalazin or balsalazide. Most studies conclude on a significant improvement of symptoms or prevention of relapses with combined probiotics and antibiotics as compared to placebo. A surprise was published last year: a nice double-blind placebo controlled study by Kruis and colleagues showed that mesalazin actually didn’t perform better than placebo at preventing relapses of diverticulitis. There is now room to study the potential of probiotics alone in the management of diverticulitis! André Buret from the University of Calgary in Canada showed the importance of the consortium in driving pathogenicity of specific bacteria. For example in C. elegansworm model, a normal E. coli doesn’t change the viability of the worm, nor does giarda. But the combination of giarda and E. coli switches on their toxicity and all the worms die in 24 hours! In Irritable Bowel Disease (IBD), his team tried to understand what turned commensals into pathobionts and looked at iron because bacteria that cause disease have an elevated iron intake, giving them the energy they need to express virulence. He found iron concentration inside bacteria is higher in IBD patients. The proposed treatment he developed is a hydrogen sulfide realeasing compound (ATB-429) that selectively corrects the dysbiosis in IBD patients, and André believes the mechanism involves the chelation of iron. Once the safety data allows it, the team plans to start clinical trials. Ton Baars, Research Institute of organic agriculture, Germany, challenged the recommendation from health officials that people at risk for immune issues should not consume raw milk products. Cohort studies have shown that raw milk consumption protects against asthma, allergies and hay fever in young children, and a recent study on 400 people starting consuming on average one cup of raw milk kefir per day showed significant improvement on different health scores including overall self scored health, bowel, skin and mood scores. Women suffered more baseline discomforts and showed more improvement. Stéphanie Blanquet Diot, University of Auvergne France worked on the combination of TIM and M-SHIME intestinal models to investigate the interactions between a probiotic S. cerevisiae and Enterotoxigenic E. coli (ETEC) food-borne pathogens inside the black box of the human GI tract. ETEC causes half of the cases of traveler’s diarrhea, which represents medical and productivity losses costing 1,5 billion $ worldwide, and is currently treated only symptomatically. The group showed the strain to be effective at inhibiting the pathogen and significantly decreasing the expression of toxins both at gene and protein level. The researchers will test the hypothesis that the probiotic inhibits the expression of toxins – or whether it is able to degrade or trap the toxins. Sae Hun Kim from South Korea presented fascinating data on the administration of L. rhamnosus 4B15-fermented Maillard Reaction Products (MRP) and its protection effect against stress in mice. The 3 weeks administration of the postbiotics reduced anxiety is the stressed mice, as demonstrated in Openfield, Elevated Plus Maze, and social interaction test. Mechanisms identified include the attenuation of apoptosis in the brain of the stressed mice, the down-regulation of inflammatory markers, the reduction of stress-related hormone corticosterine and increase in serotonin and the improvement in colonic barrier function. This presentation was a lesson about the improvement of stress robustness and resilience, but also on how powerful can be animal data. Yenn Wenn Liu from Taiwan presented the potential of L. plantarum PS128 for the management of autism in children. The strain showed anxiolytic effects in mice and modulated neurotransmitters serotonin and dopamin in the brain. A randomized, double blind placebo controlled trial with supplementaton at a dosis of 60 billion cfu/day in 2 capsules for 2 weeks in boys from 7 to 15 years old showed many significant behavioral and communication improvements: repetitive behavior, social communication, anxiety, rule breaking behavior, hyperactivity, impulsivity and opposition/defiance behaviors all improved. The subanalysis per age group showed the younger group of 7 to 12 years presented the best responses, encouraging probiotic administration as early as possible. Hazuki Maehata from Morinaga, Japan, described the potential of B. breve A1 to improve cognitive dysfuntion in Alzheimer’s disease (AD) model in mice. Because the cerebral cortex degeneration starts 20 years before the first symptoms, prevention through lifestyle and diet is gaining attention and associations are pointed between gut microbiota and Alzheimer’s disease, with decreased levels of Firmicutes, Actinobacteria and Bifidobacteria and increased Bacteroidetes. In mice injected with amyloid beta to provoke AD, A1 supplementation showed the same effect as the commonly used drug in the Y maze test and passive avoidance test (for spatial memory). The group also tested A1 sonicated (killed) and acetate (postbiotic) and found the live A1 was the most effective. The protective effect could be due to an anti-inflammatory effect including mediation by acetate. A clinical study is planned. Marianne Overgaard Hesselager from Denmark works on C. elegans model and demonstrated that L. brevis increases the lifespan of the worms. A screening on 125 strains for life extension found 15 strains of L. brevis and paracasei able to increase the worm’s lifespan by one third, though the effects were strain-specific. 2 speakers covered the topic of Human Milk Oligosaccharides (HMO) production: Barbara Petschacher from the Graz University of Techonology, describing the biotechnological pathway, and Maija Emilia Marttinen from DuPont Nutrition and Health, Finland, on the use of HMOs by probiotic strains. Dupont selected B. infantisBi-26 and analyzed the gene expression during the growth with HMO 2’FL, and identified the swith on of genes involved in the transport and breakdown of HMOs. The bacterium grown on 2’FL as compared to lactose or GOS improved the gut barrier function and showed anti-pathogen action. Dr. Keiko Iwasaki Kurashige from Meiji Food Materia Japan proposed a synergic blend of short chain FOS and acacia fiber with a production method under patent application - thermal transformation making the combined molecule much more stable and soluble even in cold water, helping the probiotic industry access less hygroscopic ingredients for symbiotic products. Jin-Zhong Xiao from Morinaga presented the strong rationale behind the use of Human Residential Bifidobacteria (HRB) for human supplementation, especially infant. Because, as compared to non-HRB they are able to grow on HMOs and to resist to lysozymes, but also because at the functional level they are more effective than their non human residential counterparts at producing folates and at degrading food-derived opioid peptides (molecules in relation with autism, allergy and other disorders in infants). Kaihei Oki, from Yakult, Japan, looked at a Belgian cohort of babies up to childhood to check if strains present in infancy have the capacity to colonize the gut until later childhood (6 years) and concluded that intra-species diversity of B. longum subsp. longum in the gut existed not only in the infant but also in the child and the mother during pregnancy, and confirmed that there is long term colonization in the gut. On the technological side, Gwenael Jan and his phD student Houem Rabah (co-winner with Stefano Colombo of the Young Scientist Award) presented work from INRA Rennes about the 2-in-1 bacterium Propionibacterium freudenreichii, used for the production of cheeses like emmental, but also for its role in health. It is known to produce B9 and B12 vitamins as well as SCFAs, and some strains can induce high levels of IL-10 – but this requires adhesion in the gut, which depends on the strain and treatment. Houem showed the cheese matrix protects immunomodulatory surface protein S1pB from proteolysis in an in vitro model of digestion. Gwang-Pyo Ko from Seoul National university used metagenomics data from twins to show that metabolic phenotypes are affected by genetics, in addition to diet and the environment. Sin-Hyeog Im, also from Korea, gave an excellent talk on the development of pharmabiotics. “We need tailored probiotics” he said, to take into account the dysregulation in the pathological situation. Example: Tregs are crucially important for the regulation of the immune response, but an excess of Tregs in tumour is very harmful because the Tregs cancel the immune response that would otherwise attack the cancer cells. His lab went through an in vitro screening of immunoregulatory probiotics and selected B. bifidum PRI1 (inducer of IL-10 and IL-12) to be tested on mice. PRI1 successfully enhanced Treg generation compared to control mice and to mice supplemented with other bacteria. These activated Treg cells were functional: they enhanced Foxp3, CTLa4 and IL-10, and proved able to suppress colitis development. Byong-Yong Kim and Yosep Ji gave talks on the tools behind metagenomic analyses and demonstrated a very high level of technicity coming from South Korea. Almost one speaker out of 5 at the IPC came from South Korea (8 out of 46, then came French and Italian representatives, 5 each, followed by Japanese and Belgians, 4 each). Wilhem Holzapfel from Hondong Global University in South Korea wondered about the role of lactic acid bacteria in the distal short intestine and proximal colon. He compared a L. rhamnosus BFE5264 isolated from fermented milk to L. rhamnosus GG and found important differences, with only BFE being significantly able to decrease hepatic cholesterol levels and total cholesterol. Analyzing the RNA he found that BFE isolated from the milk had probably lost genes for adherence in the gut – as they were not necessary in milk. Sandra Ten Bruggencate from NIZO, Netherlands, presented the possibility to test the potential of a probiotic using challenges, such as an attenuated E. coli infection, and comparing the immune response with or without the tested compound. Since the Lancet 2009 definition of health as the ability to adapt, quicker adaptation is a positive outcome. Vincenzo Cesi from the Italian National Agency for new technologies presented the idea, which germed coming at IPC since many years, of combining omega-3 from microalgae isochrysis and probiotic: he showed L. reuteri grows on the algae in anaerobic conditions, in competitive exclusion of E. coli in the fermentation and in Caco 2 cells. The omega-3 were not consumed so the outproduct has the benefit of omega-3 presence. Tom van de Bigert from BaseClear showed the standardization of results on a metagenomic analysis is possible thanks to DNA stabilization buffer (found r>0,99 between triplicate analyses). Marco Pane from Biolab / Probiotical Italy went back to the definition of probiotics as live microorganisms which, when administered in adequate amounts, confer a benefit to the host. In order to characterize a probiotic product it is therefore of critical importance to enumerate the live microorganisms. With that objective, Marco gave insight on flow cytometry, a modern, fast, accurate, universal and official method that does just that: enumerate live microorganisms, rather than measuring, as the current plate counting methods do, the capacity of bacteria to grow and reproduce on a given medium. He highlighted the potential of the method for processes optimization, product quality and stability control. A difference between plate count and flow cytometry in terms of outcomes is that flow cytometry recovers VBNCs, cells that are Viable But Not Culturable. They are live microorganisms and can have an efficacy in the product. In addition, heat-killed bacteria can’t be enumerated by plate count but their effect is surely concentration-dependent, making the method a boon for the future of probiotic enumeration. 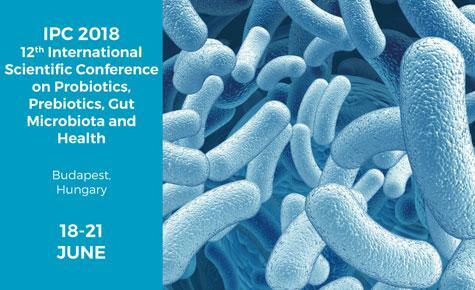 Jean-Pol Warzee from the European Scientific League for Probiotics (ESLP) in Belgium and Stefano Colombo (co-winner of the Young Scientist Award) from Milan University both proposed approaches to improve quality standards of commercial probiotics. Jean-Pol Warzee showed good example of the Belgian application of ESLP label, a seal of quality that checks the formulation is backed by sufficient research - evaluated by an independent scientific committee - and that the declared bacteria are there and in the amount declared – to the extent of the method capacity. The label request is based on proactivity from the industry and the seal has proved to increase sales in the pharmacy channel. The league is now working towards the implementation of the label in Italy, the first per capita country for consumption of probiotics. We at Probiotical encourage our customers with scientifically-backed products to take contact with the ESLP. On his side, Stefano Colombo provided guidance for the assessment of quality and safety for probiotic formulations, with 4 pillars: taxonomy; enumeration, for which he also recommends flow cytometry as a technique with an ISO standard giving more information than plate count; safety based on the absence of contaminants and of transmissible antibiotic resistance; and quality at the level of the probiotic effect with a proteomic analysis to check the activity of interest: an innovative idea! Caroline Amiel from the French university of Caen studied the impact of Roundup residues on the rat gut microbiome. The development of intensive agricuture and abundant use of glyphosate-based herbicides leading to residues in tap water have consequences on the environment and health, with the carcinogenic, cardiovascular and neurotoxic effects of these compounds in discussion. The in vivo study on Roundup in drinking water at the levels authorized by the authorities (0,1 ppm) showed a dramatic shift on the females gut microbiota towards a dysbiotic signature, substantially overlapping with liver dysfunction showed in precedent studies. She raises the question whether probiotics could counteract the negative effects of Roundup, and asks if glyphosate residues ingestion impacts probiotics and commensals survival and efficacy. While arguing that the EU regulation is effective at making consumers happy, healthy and confident and at ensuring growth and global competitiveness (a conception which can be challenged with regards to the probiotics industry based on Euromonitor data 2016 showing a loss of revenue of up to 1,5 billion euros in drinking probiotic yogurts in Europe between 2012 and 2020, in just 6 countries), Elinor McCartney from Pen&Tec indicated that the data rejected by EFSA for claims on probiotics is able to convince healthcare professionals. She also gave advice, as per the recent EFSA guideline, for the evaluation of safety of probiotic strains, including checking the absence of antimicrobial resistance, of toxins and of virulence factors. Importantly, the commission identified 428 unauthorized novel foods sold online and engages the member states to become more engaged and careful with the online market. Dragana Skokovic-Sunjic, menopause practitioner from Canada, presented the scientific & pragmatic approach to help practitioners and consumers chose the right probiotic products found effective for the right purpose. Even when practitioners are well informed and prescribe a specific probiotic to their patient, it often happens that these look for a cheaper alternative without studies – and miss the chance to be helped, while decreasing the credibility for probiotics in general. The objective of Dragana and her colleagues is to review scientific data behind commercially available products in the US and Canada, with an independent expert team, to provide guidance on which strains and products are supported and with which level of evidence for each indication and target population. This is an internationally acclaimed initiative, creating a bridge between the research, healthcare providers and the public, and doing a great part in assisting people to protect, restore and maintain a healthy and diverse microbiota. The guide is available for the US and Canada and is generously made available on free access online: http://usprobioticguide.com/. I hope you enjoyed this sum-up, and if you are keen on participating to the creation of more science on probiotics, please contact us at Probiotical, we’d be happy to partner up for new studies.